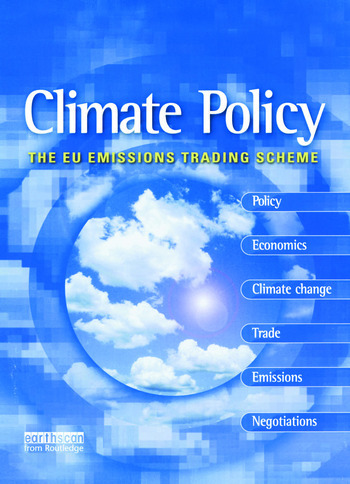 This special issue of the Climate Policy journal outlines the fundamentals of the new European Emissions Trading Scheme (EU ETS), assesses the strategies for and impact of implementation and highlights the scheme's potential, including positive aspects and remaining hurdles. The EU Emission Trading Scheme (EU ETS) is the first international trading scheme for CO2 in the world. Its aim is to reduce the cost of compliance to existing targets under the Kyoto Protocol. From 1st January 2005, companies in high-energy sectors covered by the scheme must limit their CO2 emissions to allocated levels, arranged in two periods: from 2005-2007 and 2008-2012 (to match the first Kyoto commitment period). In practice, the scheme is likely to cover over 12,000 installations across the European Union, corresponding to approximately 46% of the total EU CO2 emissions. The EU ETS represents a significant development in working at an international level to combat dangerous climate change. The EU Emissions Trading Scheme presents a comprehensive and insightful analysis of the EU ETS, written by international experts in the field. The publication includes the latest research on emissions credits, the interaction of the trading scheme with national energy policies and the debate on future expansion.